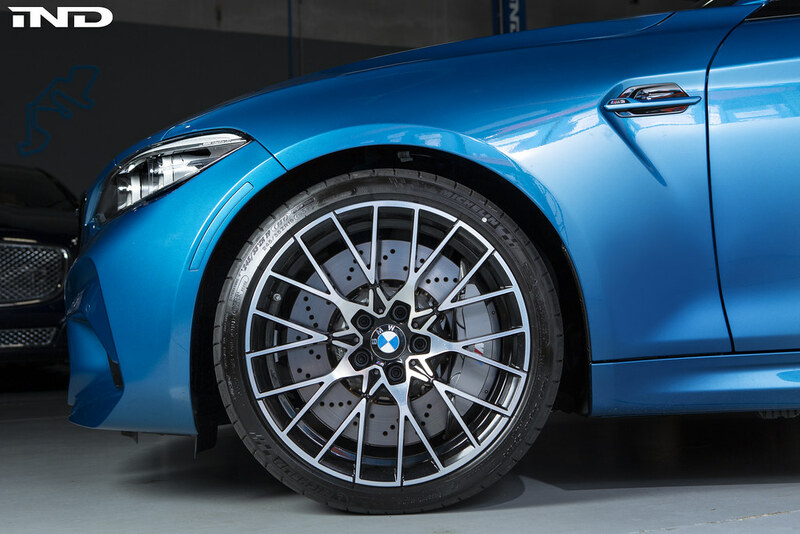 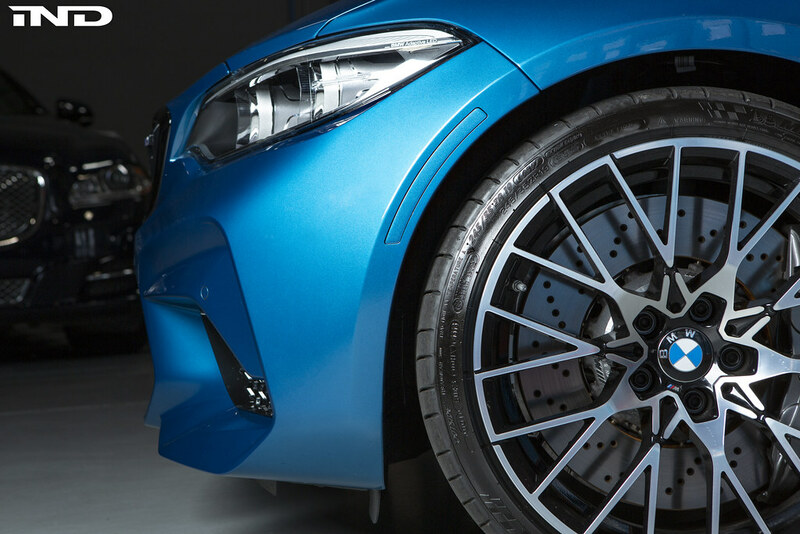 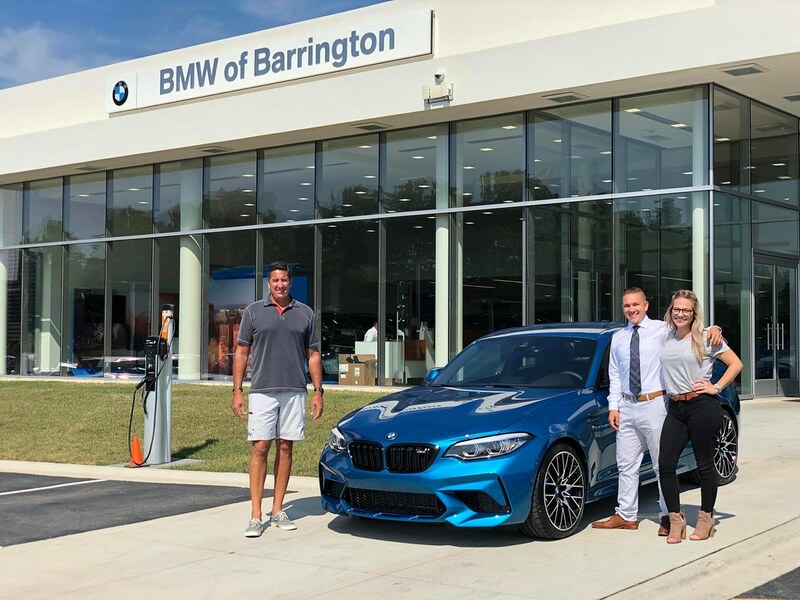 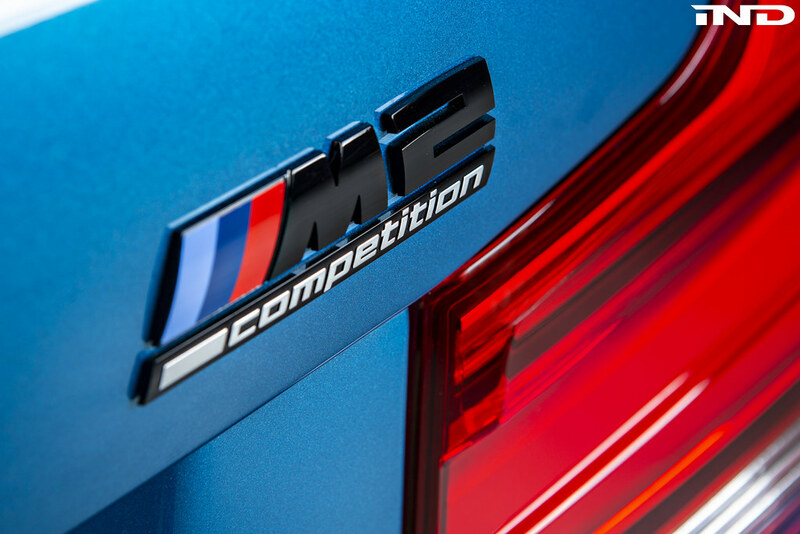 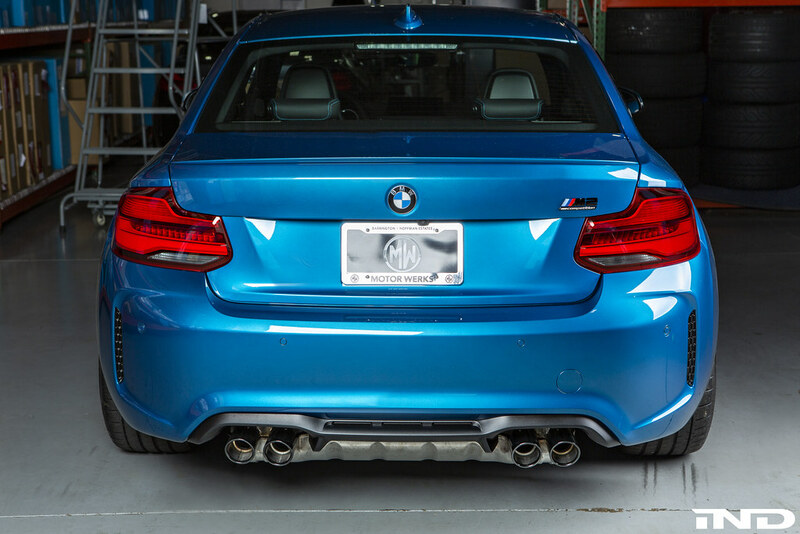 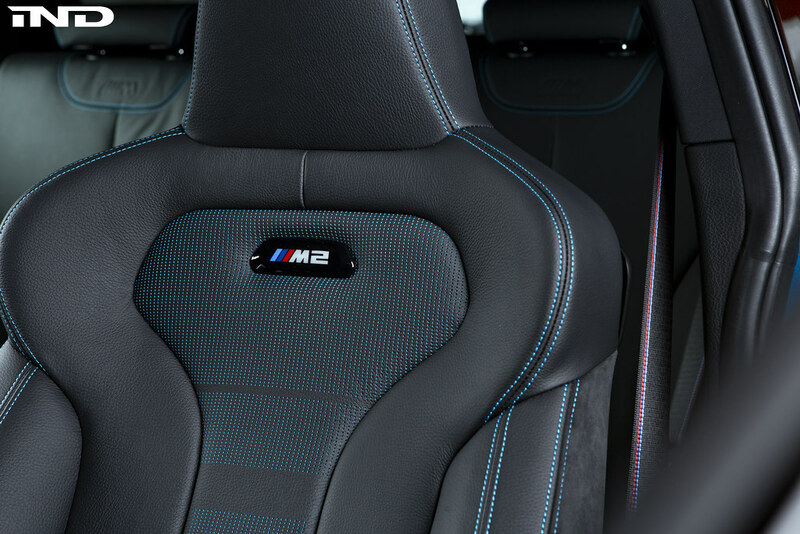 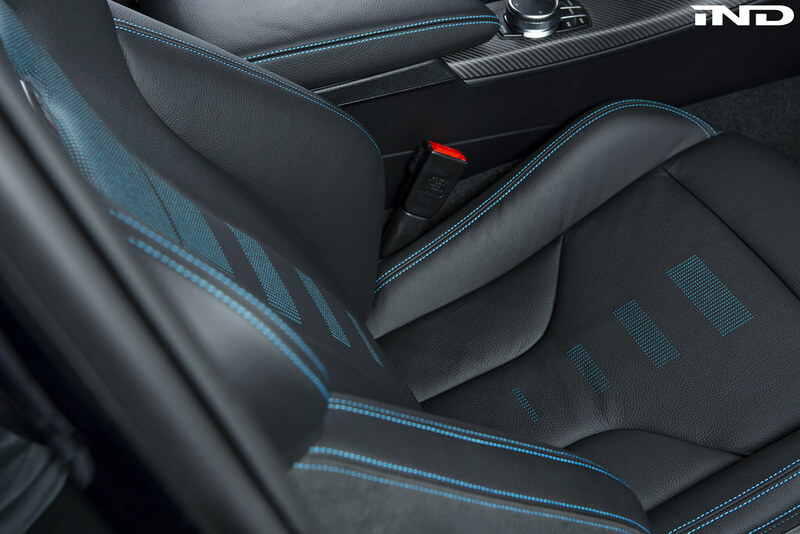 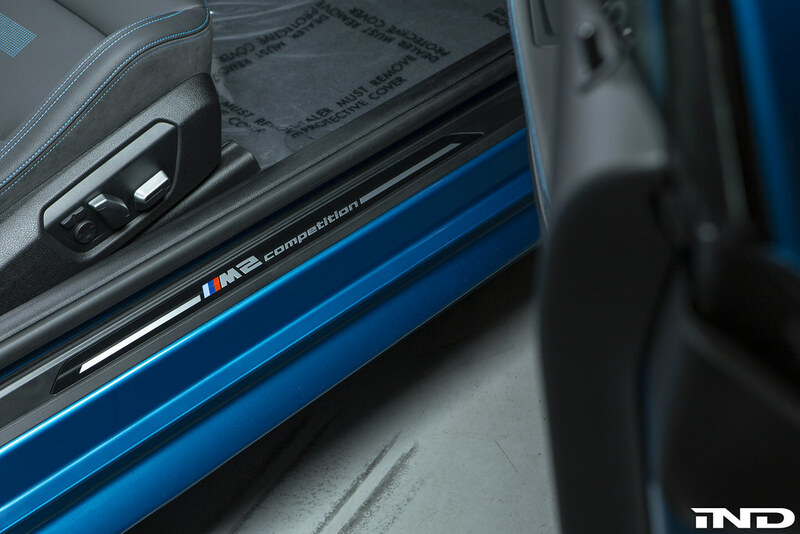 We were lucky enough to have BMW of Barrington hand over the keys to a new 2019 BMW M2 Competition in Long Beach Blue. 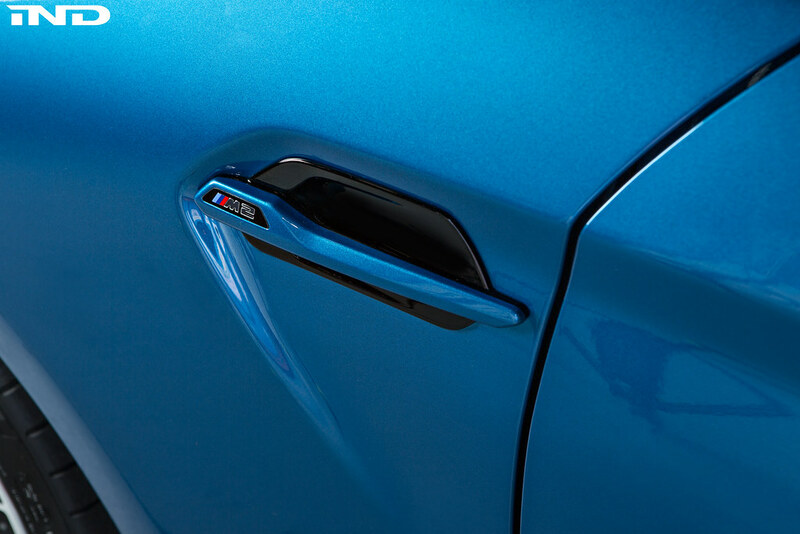 The car received a few IND trademark touches such as painted front reflectors, Acexxon rear reflector inserts and IND painted side markers. 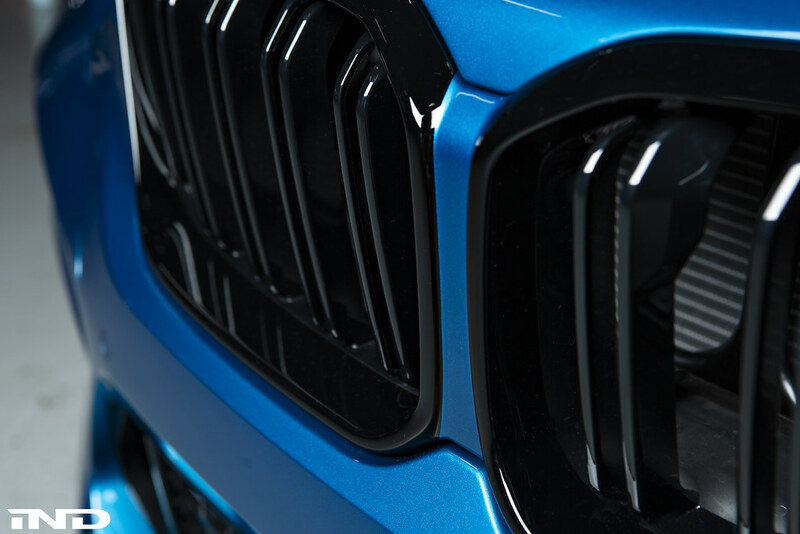 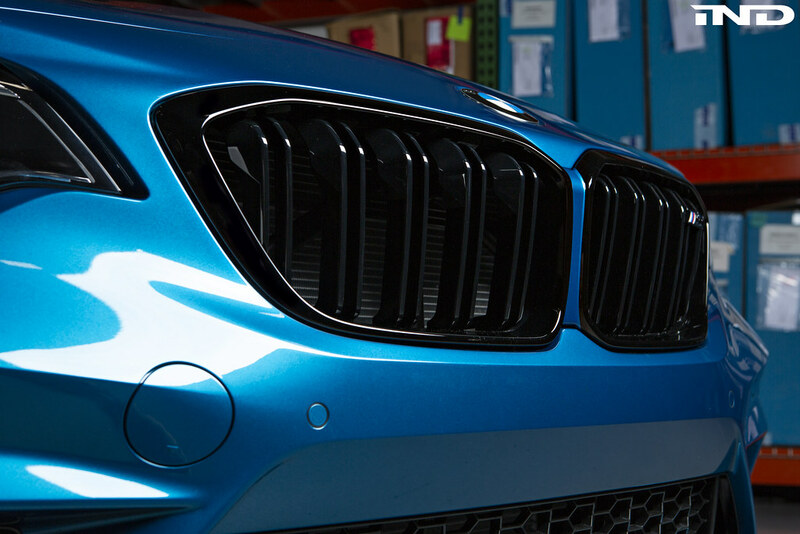 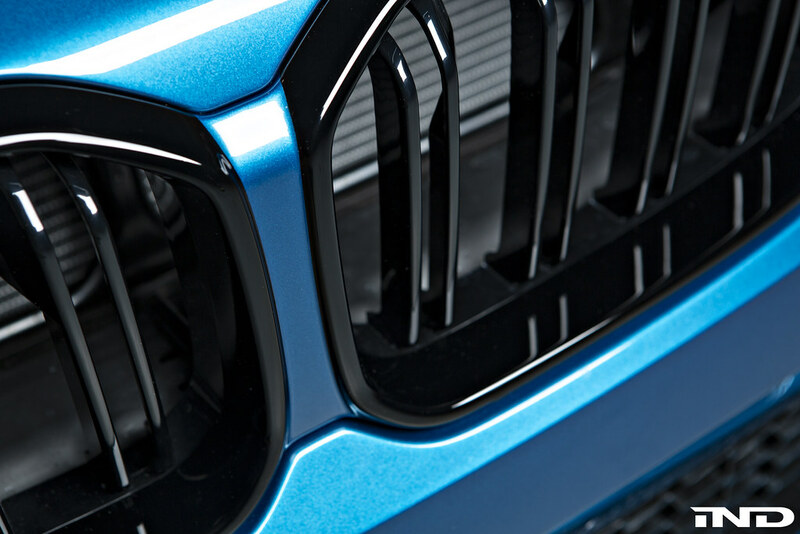 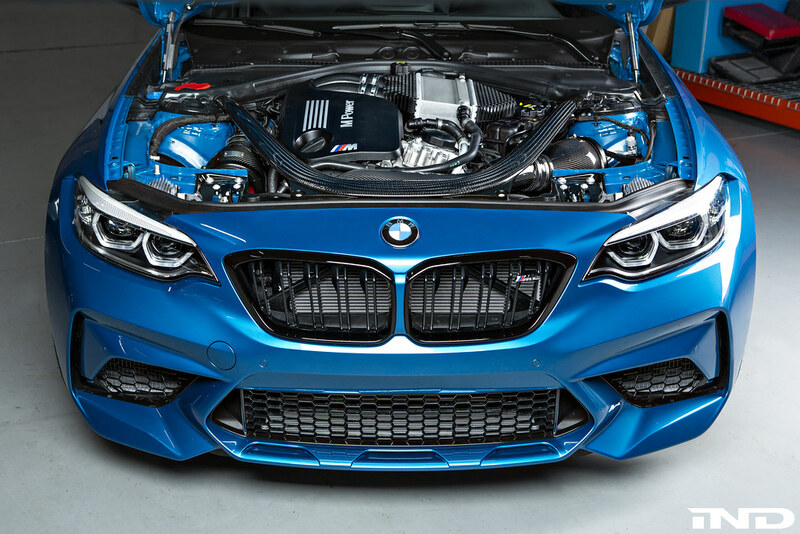 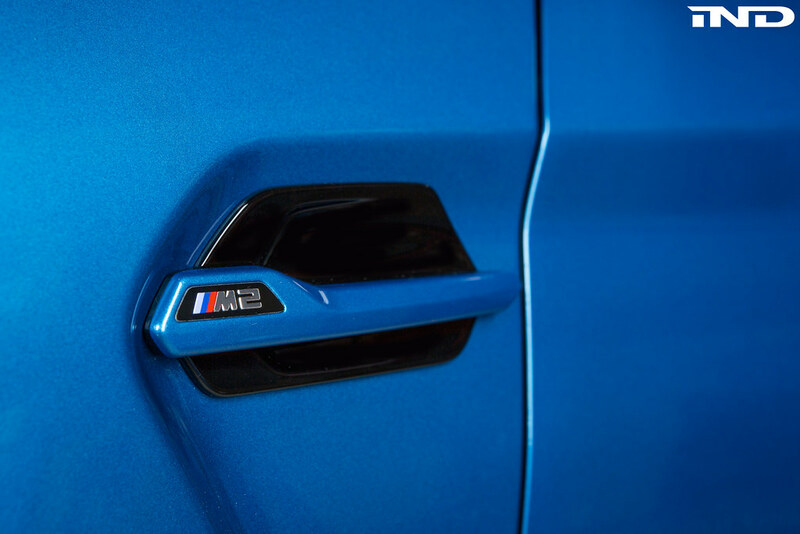 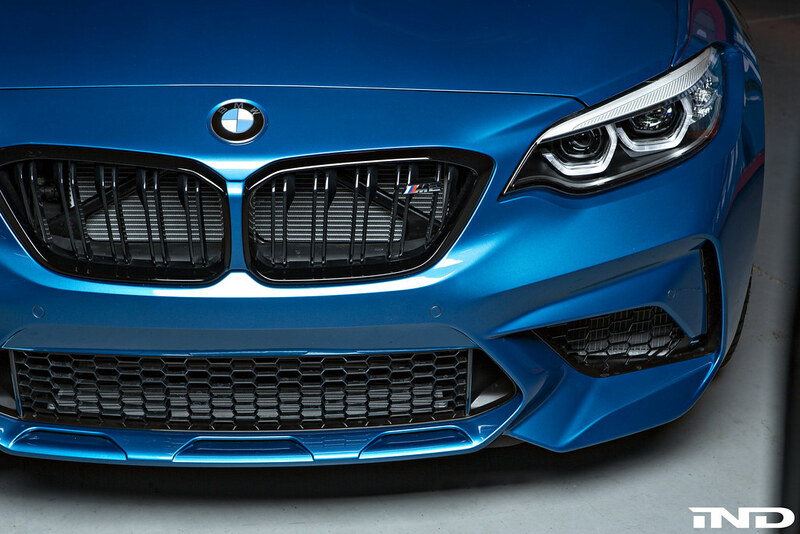 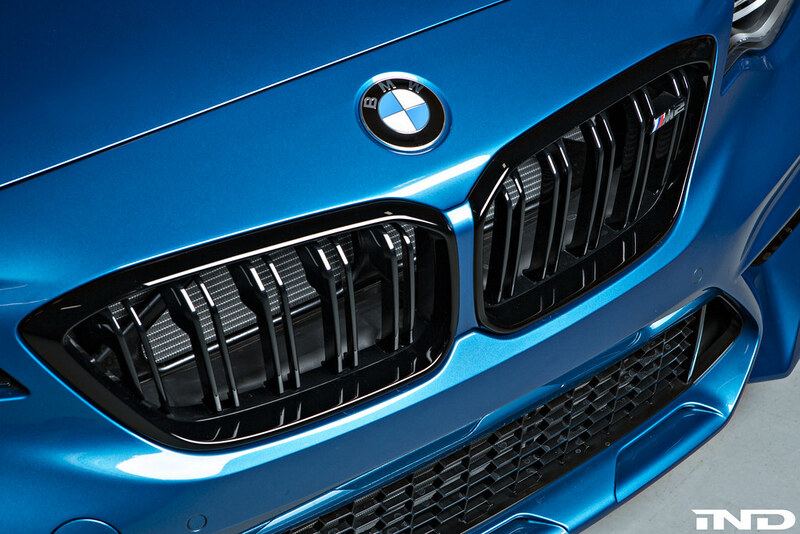 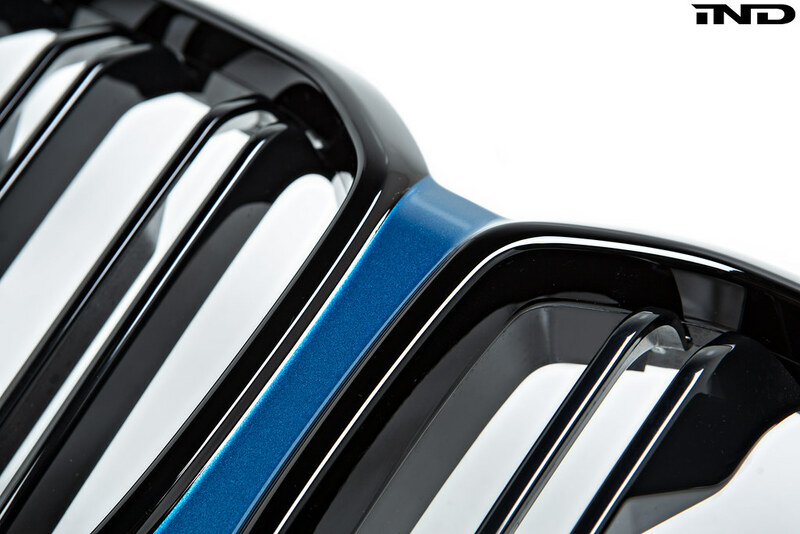 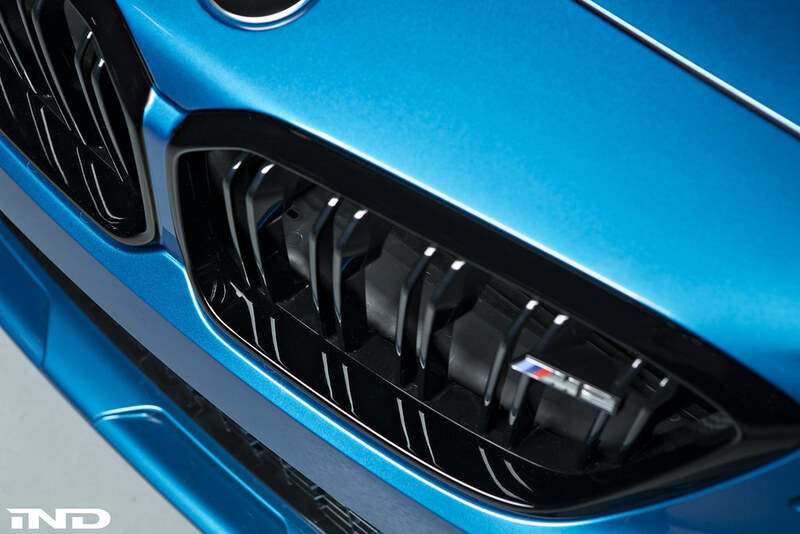 We also custom painted the front grilles to symbolize the traditional kidney grilles found on previous BMWs. 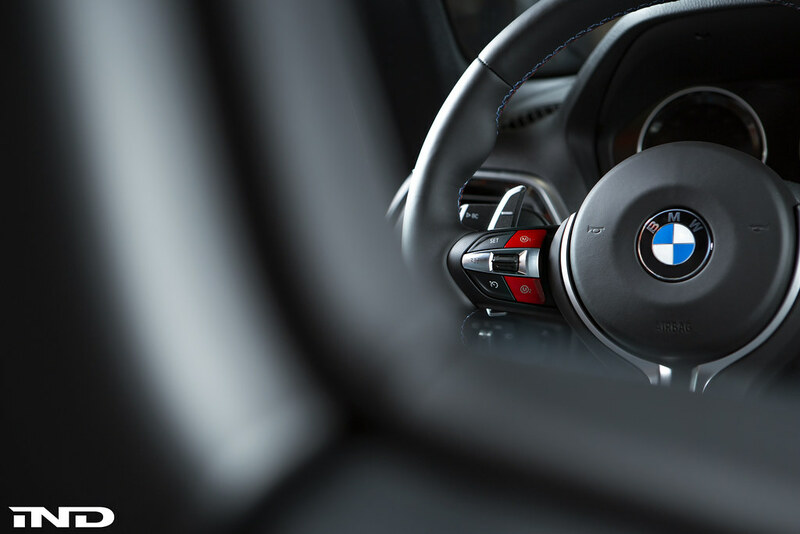 Inside we kept it simply by installing IND red M1 and M2 steering buttons. 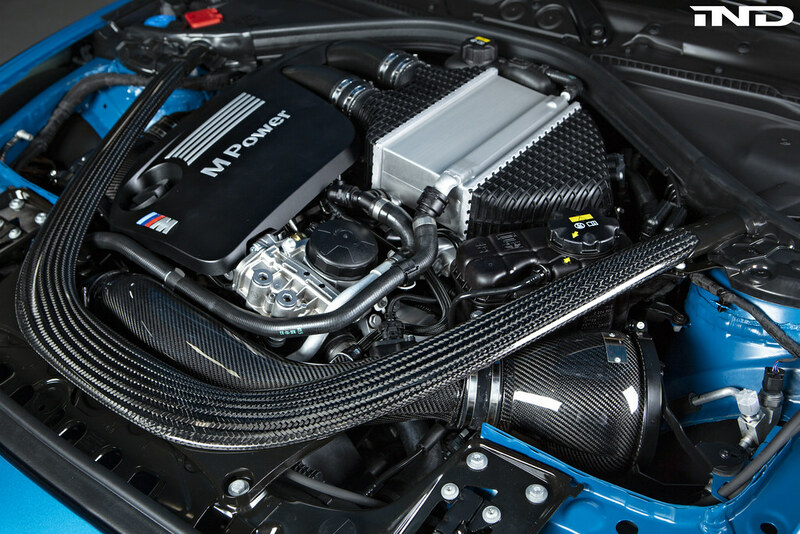 Since the new M2 Competition now comes with the S55 motor found in the M3 and M4, we decided to test fit the Eventuri carbon intake as well. 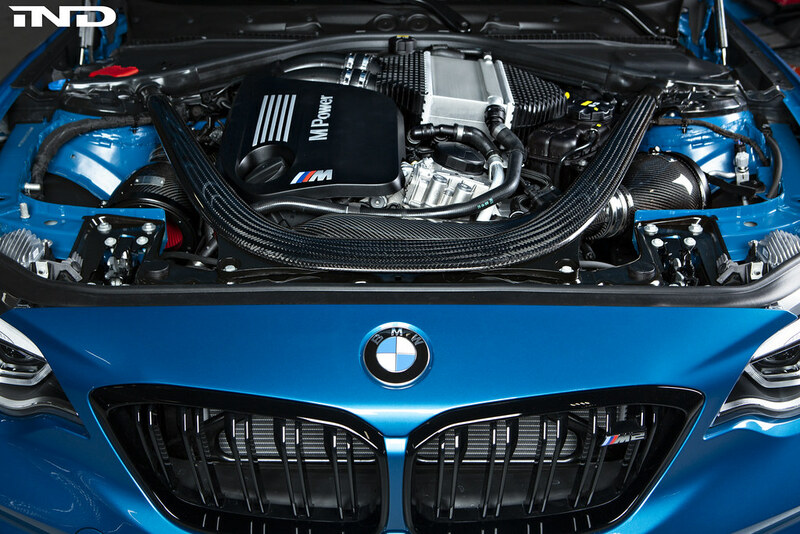 The car returned to BMW of Barrington and was sold within the day!